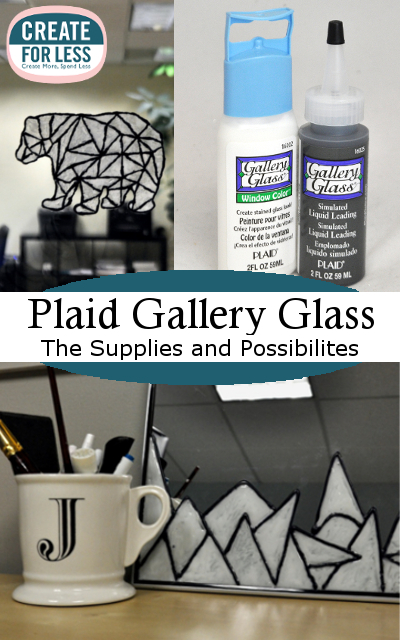 Plaid Gallery Glass Paint is the paint to use to create a stained glass effect on any window. It can also be used to create a vinyl cling of your own design or from a pattern and to add texture or to make a faux leaded glass window. With Gallery Glass you can make your own seasonal decals and designs. Gallery Glass Paint is also a great way to help restore the color and look of an old stained glass piece that has dulled over time. Read below to learn what supplies you will need, how to create a faux leaded glass window, and other useful hints and tips when working with Gallery Glass. In order to make a design with Gallery Glass one of the first materials needed is the Gallery Glass Liquid Leading. This product is used to create an outline of whatever design you are using so that you can color this design in with the Gallery Glass Paint color of your choice. It helps to create a faux lead look similar to a real stained glass window. In order to create a design you can either use a pattern or create your own design with the Liquid Leading. Hold the Liquid Leading an inch or so off the surface and hold a consistent amount of pressure while drawing your design. When first opening the bottle, make sure to cut off the extra plastic from the tip to prevent clogging. When putting a design on a vertical surface, Redi-Lead can be a cleaner and more precise option rather than liquid leading. This is lead that you can put on the window like an adhesive. Fill in gaps created when using Redi-Lead with Liquid Leading. Gallery Glass Paint comes in a variety of colors to help you complete your design. Make sure to not shake the bottle as this can create bubbles that you do not want in your design. If your paint accidently gets shaken, allow the paint to sit for a few hours before using it in order to decrease the bubbles. In order to get a darker color, add multiple layers of the paint you are using. To get a lighter color, try mixing the color you are using with the Gallery Glass Snow White. You can also create a marbled effect by adding a few dots of a different color within the contents of the one you are creating. Run a tool through this to spread the color without mixing it. 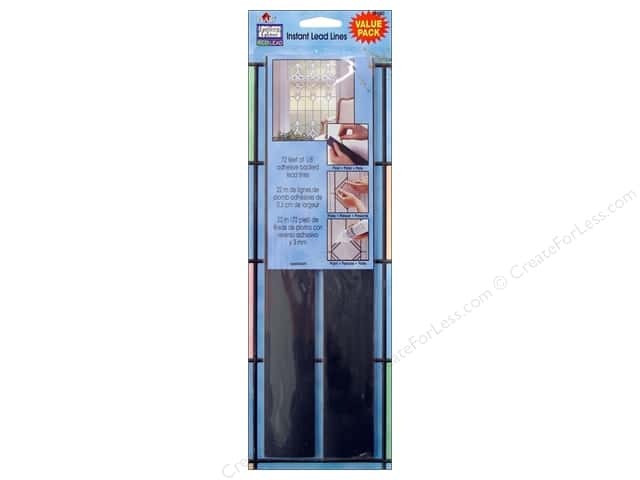 Gallery Glass Leading Blanks are a plastic sheet that can be placed over a pattern to create a cling or any design you want to peel off and place on a window or mirror. The liquid leading blanks create a flat surface in which to draw your design. 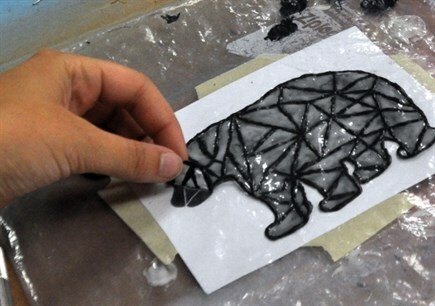 Once your design has dried and cured completely, you can peel it off of the leading blank to transfer to a new surface. If you do not have a leading blank on hand, a plastic bag, such as a sandwhich bag, or a mylar sheet can work as a substitute. In order to make a faux leaded glass window, Gallery Glass can make an easy and cheaper alternative. This is a great option for a window that you love for the light, but not for the visibility it gives to the outside world. This treatment can also help obstuct a less than perfect view while giving your home a cozy feel. To create this look, use the Crystal Clear color to create a texture on your window. 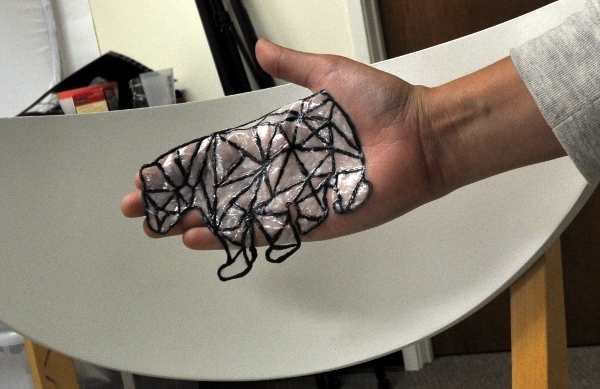 You can create the texture with your fingers or while using a sponge or another applicator. To add a design to your window, using the Gallery Glass Liquid Leading can create geomtertic shapes that help add a design feel to a window that was otherwise plain. Creating faux leaded glass windows is a great alternative to heavy curtains that still allows light to get into your room. 3. To get bubbles out of the paint, try gently tapping the back of your project to get the bubbles to pop. Remeber to never shake Gallery Glass Paint, as this will create more bubbles. 4. 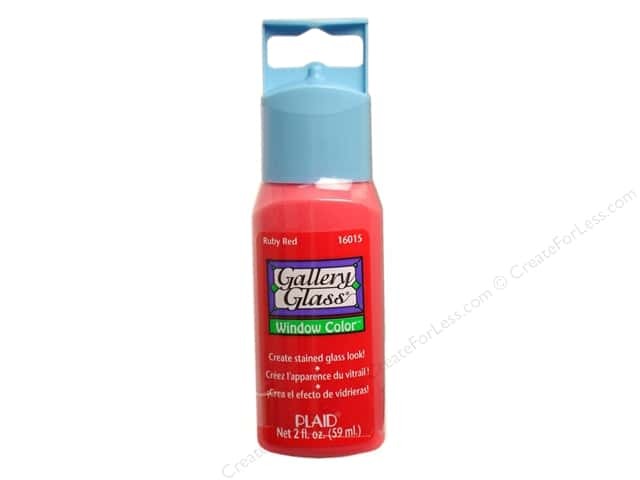 Though a lot of Gallery Glass products are non-toxic you should not eat or drink off of products that are in direct contact with Gallery Glass Paints. 5. Gallery Glass products should not be used in tempetures under 45°F or over 90°F. 6. If making a candle holder, make sure the glass does not get too hot when the candle is lit. To test this, if glass is too hot to touch when a candle is inside of it, it is too hot to use gallery glass paint. 7. Don't be afraid to experiment, adding glitter or small objects to the paint before it dries is a great way to add something extra to your piece. 8. Adding clear beads to the paint will allow the light to shine through the beads as well when put on a window. 9. Follow the instructions on the bottle in regards to drying time. 10. Wait until the leading lead dries before trying to make corrections. 11. Try not to create clings larger than your hand, as they will be more likely to cling together. Here is a helpful video about Leading with Gallery Glass Proudcts and another video about painting with Gallery Glass Products. Check out these crafts and more at out blog, ThinkCrafts.com!